Holy smokes, I feel like I have sooooooo much to talk to you guys about this week–particularly our paint situation. If you watch my stories over on Instagram, you probably already know what’s happening, but long story short we’re getting our living room and front room repainted today. Yes, as in painted AGAIN. For a second time in a week. Crazy, I know. It’s been an interesting ordeal and I think I’ll just write a separate post to explain what’s been going. But thank goodness it all seems to be working out, so I can’t complain. 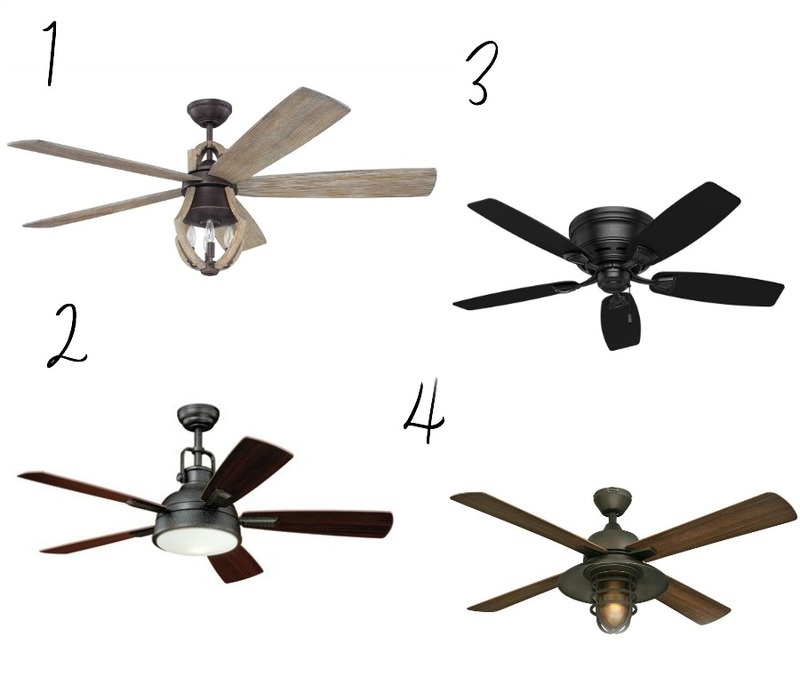 I’ll share more about that soon, but today I’ve rounded up 10 affordable farmhouse style ceiling fans for you guys! I was actually chatting on IG stories yesterday about not having much to share for Friday Favorites this week, so I asked if anyone would be interested in seeing a shopping post about affordable farmhouse style ceiling fans. I was shocked at how many of you enthusiastically said YES, so here I am! I also got lots of other fabulous suggestions for shopping roundups, so I made sure to take notes. You guys have some great ideas. Anyway, I have scoured the world wide web to come up with ten awesome ceiling fans that are all reasonably priced. I hope this helps if you’re looking to update any old fans in your home! So I have to admit, I haven’t done a lot of ceiling fan shopping in my day (even though I totally need to update all of ours) and I had no clue how pricey they can get. Really, many of the fans I found were over $500, which is pure hogwash if you ask me. I personally can’t justify that kind of price tag and I would feel absolutely ridiculous including any of those expensive fans in a shopping roundup for you guys. My motto is I’ll never put something in a roundup that I wouldn’t actually buy myself. And since I’m pretty darn frugal AND super picky, it really limits what I choose for these shopping posts. But I do hope this helps if you’re looking to update the ceiling fans in your home without breaking the bank. I actually love all of these options and I think any of them would look great in a living room, bedroom, playroom, basement, etc. My favorites are number one and number five. This was so helpful!! Saving me hours of time. These are lights are in my budget:) I love your blog!! We purchased no.5 and it is a great quality fan and so easy to hang. It changed the look of our room from prissy (we have a ranch style home that had all frilly fixtures from the 60s) to more rustic and casual. Please not it is not a flush mount but it still worked well with an 8 ft. Ceiling. 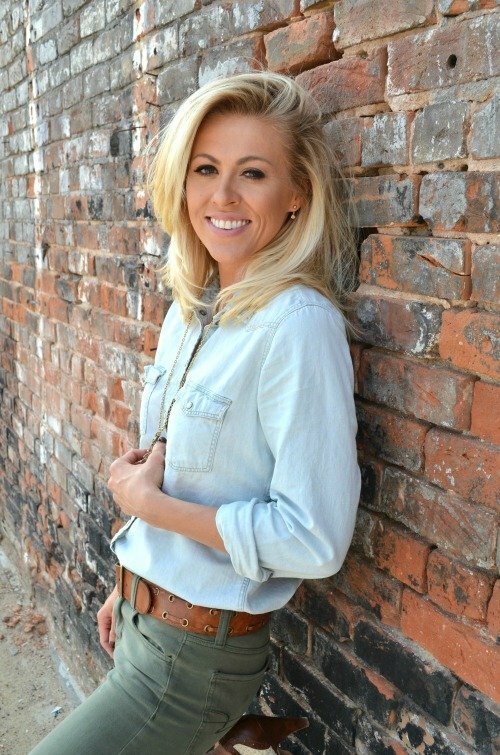 Thanks for all you do and we love your blog and stories! I GREATLY appreciate this morning’s post! It couldn’t have come at a better time. Have an awesome weekend and best of luck with the painting today. You’ll have everything back to comfy-cozy before you know! One time on fixer upper I saw a glimpse of this gorgeous windmill ceiling fan.. it made my heart flutter!! Until I searched and the cheapest one I found was over $1,000.00. I was like oooookay, never mind! Sheesh. But it was beautiful! I think the only farmhouse style fan is the Hunter Original. 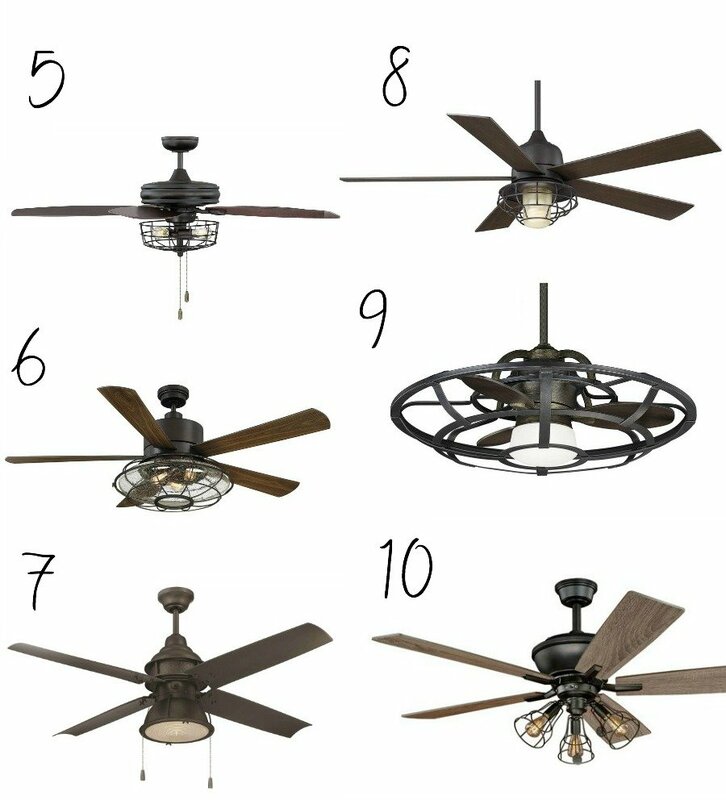 Love these… I agree, ceiling fans are quite pricey! I just did a makeover on mine for a grand total of $30. I’m much more happy with it now. 🙂 Thanks, Sarah!